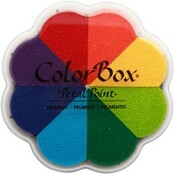 Colorbox craft stamps and pigment inks are known in the scrapbooking and stamping world to be quality products. 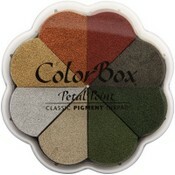 We are proud to carry the ColorBox classic pigment ink. Colors: Burnt Copper, Peacock Gold, Verdigris, Pheasant Gold, Platinum, Silver, Gold, Copper. Colors: Amber Satin, Silk Green, Pearl Gray, Raw Silk, Gold Brocade, Sapphire Silk, Ruby Satin, Royal Silk. 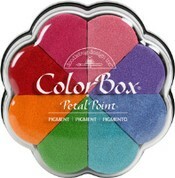 Colors: Topaz, Olive, Curry, Roussillon, Peacock, Plum. Colors: Pool, Abyss, Cupid, Turtle, Iris, Pepper. Colors: Canary, Mango Tango, Scarlet, Lime, Cyan, Violet. 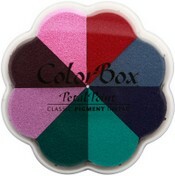 Colors: Violet, Peony, Magenta, Scarlet, Orange, Marigold, Canary, Fresh Green, Green, Turquoise, Cyan, Royal Blue. 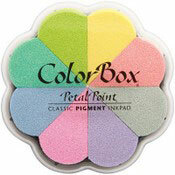 Colors: Heliotrope, Lilac, Orchid, Pink, Coral, Apricot, Canary, Lime, Apple Green, Aqua, Sky Blue, Lavender. Colors: Abyss, Peacock, Ocean, Turtle, Curry, Amber, Chianti, Espresso. 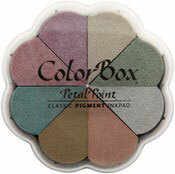 Colors: Boysenberry, Razzberry, Berry, Shabby Pink, Ice, Plum Berry, Wild Hare, Antique Pewter. Colors: Orange, Canary, Lime, Green, Cyan, Royal Blue, Violet, Scarlet. 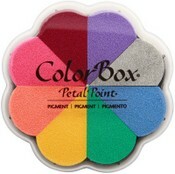 Colors: Heliotrope, Silver, Sky Blue, Mint, Canary, Apricot, Pink, Peony. Colors: Ruby, Colonial Blue, Midnight, Turquoise, Teal, Lilac, Eggplant, Orchid. 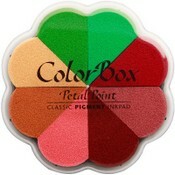 Colors: Apple Green, Magenta, Old Rose, Terra Cotta, Coral, Amber, Parchment, Fresh Green. 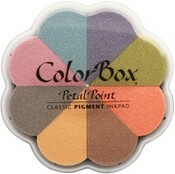 Colors: Daffodil, Papaya Cream, Whisper Grey, Thistle, Rosebud, Baby Blue, Glacier Ice, Pistachio. 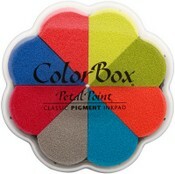 Colors: Lemon Grass, Citrine, Mango Tango, Surf, Wild Hare, Razzberry, True Blue, Picante. Colors: Plum Berry, Lettuce, Sweet Melon, Dune, Banana Custard, Wild Hare, Shabby Pink, Cape Cod. 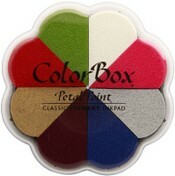 Colors: Frost White, Razzberry, Silver, Royal Blue, Eggplant, Gold, Cranberry, Moss Green. 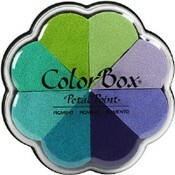 Colors: Thistle, Lavender, Iris, Turquoise, Mint, Apple Green, Lime, Pistachio. Colors: Cupcake, Lilac, Bubble Blue, Swimming Pool, Limeade, Tangerine, Ladybug, Bubblegum.